WHEN I wrote my comment at the end of March for the April-dated issue, which, by pure coincidence, contained a feature on whether the railways should be renationalised or not, little did we know that a general election was on the cards. 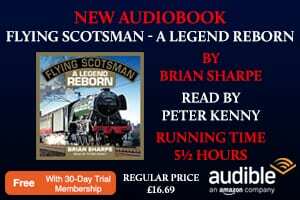 The election will take place the day after this issue hits the bookstalls and the country will soon know what policies are in store for the next five years – and that could include the possibility of renationalising the railways. As a journalist who has reported during both the BR and Privatised eras for nearly 30 years, under privatisation there have been many success stories with record investment levels that have grown passenger numbers to new highs, so what has actually been achieved is a very long way from failure. Contrary to what some would have you believe, trains today are not unreliable and dirty, and the level of service is far in excess of what BR offered. Yes, with the benefit of hindsight, Privatisation could have been done better and with greater levels of competition and there are still further steps to take, certainly to reduce overcrowding, for example. It’s no secret that Labour has said if the party wins the election, then renationalisation will be on the cards. However, it’s easy to state intent, but the execution of such a plan could be as complex as ongoing Brexit negotiations! All of the current franchises are due to come to a natural end between October this year and March 2030, and could revert to state control as they expire. Playing devil’s advocate for a moment and assuming renationalisation did take place, what happens if, at the next election, (which will be no later than 2022), the pendulum swings back to the Conservatives who inherit a part private/part nationalised railway system? It could result in a right mess. The prospect of renationalising raises many unanswered questions, such as whether the rolling stock, (which is owned by a number of leasing companies and finance houses and costed over a 30-year asset life) will be bought outright by a Labour government, or would it be a merely selective or partial nationalisation with stock still leased? 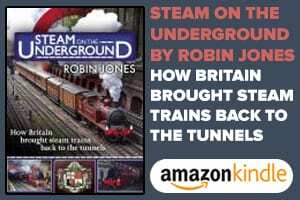 With Network Rail already under Government control and the Department for Transport having a major say in how each franchise is run, it is virtually nationalised anyway, so it is questionable where any benefits will come from a fully nationalised railway. If, for example, rail fares are frozen – or even cut as has been hinted at – will staff salaries be frozen too? What is not being said is how much a full renationalisation of the railway would cost. 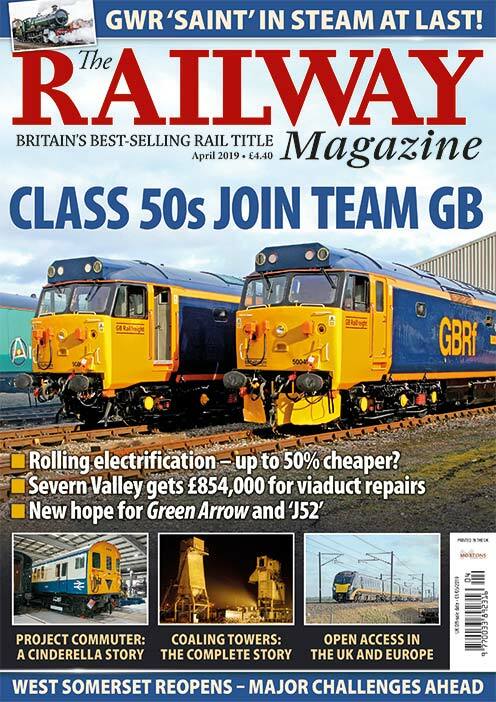 There won’t be many who would accurately know the cost, but the value of the 5,500 vehicles on order published in the May issue is around £12bn, so extrapolate that and rail renationalisation could easily cost upwards of £40bn to £50bn, maybe more. And to achieve what? (see Lord Berkeley page 12). Surely that kind of money would be more wisely invested in our NHS, schools and social care systems, all of which are desperately underfunded and in crisis. What we don’t want is a halfway house that could create even bigger problems years down the line, but should renationalisation take place, at least when things go wrong we’ll know who to blame. The politicians! Dining on trains, whether it be breakfast, lunch or dinner, has always been a special experience. With more focus on operator profits, it’s a tradition that seems to be falling out of fashion. While some long-distance operators still provide a reasonable meal service albeit in first class, Chiltern Railways is the latest to axe on-train catering, following the lead of others who have – over the years – diluted and cheapened their offerings to nothing more than a paltry ‘snack box’ or what a colleague described as ‘microwaved mush’. 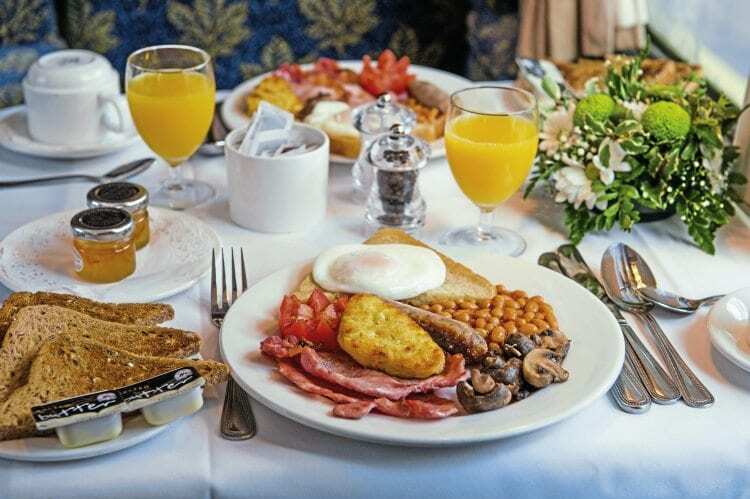 Genuine train catering – other than on charter trains with proper kitchen cars manned by a chef – almost seems have become an inconvenience in today’s instant and fast-food age. Suggested reasons for the change are that more passengers are buying food from station outlets. While that may be true at large or busy stations where there is plenty of choice at a price, could the reason for the decline be that passengers resent paying £2.30 for an awful cup of instant coffee and £3 or more for a limited selection of sandwiches served from a picnic box on a trolley that operates for part of the train’s whole journey? While I accept that facilities at smaller intermediate stations aren’t going be like Arkwright’s shop and open all hours, I can name several busy commuter stations where by 19.00 on a weekday, the shop and any catering outlet has closed, so if you are hungry and thirsty, it’s tough luck. Strange how cuts in catering come at a time of record numbers of both trains and passengers. On page 78 is concerning news that the Coventry Electric Railway Museum could become a victim of the demand for new cars. Jaguar Land Rover (JLR) is part of the huge Tata Motors empire and plans to build electric and hybrid vehicles, with a new powertrain plant being part of a £500m project that needs the museum’s land. The plan could lead to the forcible scrapping of some unique rolling stock. As a former JLR employee and someone championing railway preservation, it’s not unacceptable that individual owners or indeed the museum, which is a registered charity, might have to pay the cost to move their vehicles in order to benefit a car manufacturer that made a pre-tax profit of £1.56bn in 2016. To move the 30 or so vehicles would cost around £250,000; not a lot in the scale of a £500m project. Scrapping vehicles should be avoided at all costs.